Make your reader fall in love with your character or at least care for them, even if they don't like them. If they don't care what happens then they'll not want to read to the end of the story. End your page with a cliff-hanger. This is a device used time and again in television programmes. The writers know when the advert breaks are coming so they time cliff-hangers to happen just before a break. This ensures viewers will return. If it works for them it'll work for you. Pose questions where the only way the reader can discover the answer is to turn that page. Ensure each page moves the story forward. This could be answering a question, solving the cliff-hanger set on the previous page or it could be setting up the next cliff-hanger. Hopefully by using these tips your next story will be one an editor will love and will want to publish. If you have any of your own favourite page-turner tips please do share them here. It’s 1996 - two years before I become a published author. I’m trying to write a series of animal poems. They’re not particularly brilliant. I go for a ride on my bike. I find myself singing a little tune. I jump off the bike. Climb over a gate into a field. Write it down. A poem spills out, like a dream. In time, I get an agent. Things start to happen. But not with the animal poems, which have become a picture book idea called ‘Cards from Uncle Joe’. Each poem is a postcard / birthday card / Christmas card from Joe to his niece, with a little toy animal attached. It's a nice concept, but never really clicks. It’s 2003. I’m having lunch with Simon and Schuster. I read my editor some scripts. They’re not quite working. I pull out my Dancing Tiger poem. I get to the end, and there's silence. And then I notice the tears, pouring down her face. We’re in business. They take on a top American husband and wife team, Steve Johnson and Lou Fancher, to illustrate it. It’s quite, quite beautiful. 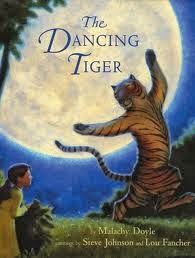 The Dancing Tiger sells to Viking Penguin in the US, to Australia, Korea, Japan, Spain… Hits shortlists in Ireland, Scotland and America… It gets amazing reviews. People read things into it I’d never even thought of. The Dancing Tiger becomes a firm favourite. I bring a big cuddly one with me to all my readings. It’s the final thing I read, to settle everyone down. Because it's a lullaby, really. A lullaby to love, and family, and imagination, and the power of story. Or so they tell me. A child comes out and dances with the tiger. Then, in 2010, the emails start arriving. ‘I want / need / must have this book, but can’t find it anywhere.’ That’s when I realise it’s out of print. That I’ve only two copies left. I’m bereft. I start forwarding them to Simon and Schuster. One a month, sometimes one a week. I tell my editor that I know books go out of print – that's the business we're in – but this one… this one is special. The way people feel about it is special. It's September 2013, and my tiger is back from the long dark night. It’s only a thousand copies, but it means the world to me. He was lost but now he's found and, for another wee while at least, we’re dancing again. This month's guest on the Picture Book Den is Enid Richemont, who is perhaps best known for her Young Adult novels such as The Game and The Stone That Grew. 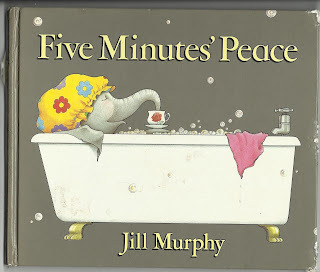 However here she shares how she recently rediscovered picture books. I have always loved picture books, and I can still remember being read to from one whose title and author have long since passed into (probably well-deserved) oblivion. It had a picture of a wasp circling around a plump, rosy-cheeked small boy who had just taken a bite out of the apple he was holding, and the text read: "Don't sting me," Fat Freddie said. "My apple you can have instead." Not the most impressive of verses (and these days, the word 'fat' as applied to a child would never pass), but my small, long-ago self was evidently grabbed by the rhyme and the rhythm. 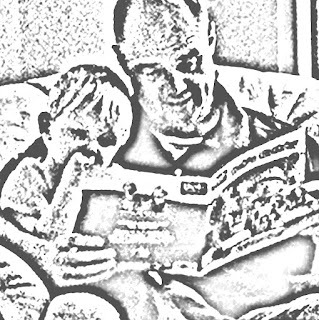 By the time I had children of my own, we were feasting on books like Judith Kerr's THE TIGER WHO CAME TO TEA, Russell Hoban's unforgettable BEDTIME FOR FRANCES, Eric Hill's SPOT books, Maurice Sendak's WHERE THE WILD THINGS ARE, all the MIFFY books, and of course, Pat Hutchin's masterpiece of picture book writing, with its spare 35 (!!) words - ROSIE'S WALK. Having always published much longer work, including Young Adult novels, in recent years I found myself falling in love yet again with picture books ( there are some splendid contemporary ones), but it was only when I picked up Debi Gliori's NO MATTER WHAT in my GP surgery waiting room that I realised just how much depth of feeling can be expressed in a few simple words and pictures aimed simultaneously at both the child and the adult reader. The theme of her book is simply of 'love, forever, up to and beyond death' (I believe the American version sanitised out the 'death' bit for commercial reasons, thus losing much of the story's depth). Little did I know that, within a month, her gentle and magical words would apply to my own situation. I've been working on my own picture book texts for the past three years, and believe me, this form of literature is not easy. Like the best poetry, it's challenging and precise. But it's also fun. Two years ago, we were watching the royal wedding on TV, and, naughtily, among the frocks and the hats, I mentally inserted one mouse. 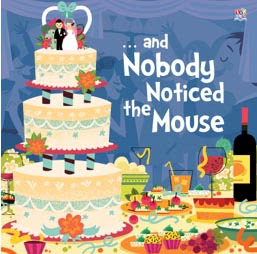 This naughtiness was to grow into '...and NOBODY NOTICED the MOUSE', published this month by the lovely people at TopThat! 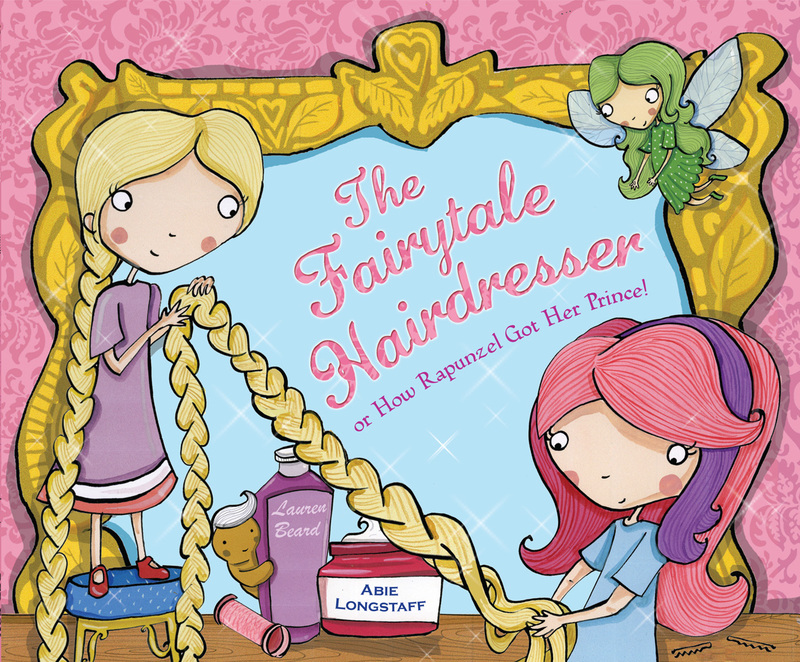 It will be followed, next year, with 'QUICKER THAN A PRINCESS', a book with the theme of gestation and birth. Like I said - although fun, this stuff's serious. To view more of Enid's work click here. To visit Enid's website click here. I began collecting books at the age of twelve when a lovely old chap on playground duty gave me a battered ancient bird book with beautiful tissue covered plates. To this day almost nothing is more exciting to me than the smell of foxed paper and a few loose pages. Perhaps I’m strange, but it’s an interesting and relatively cheap hobby and it does tell you a lot about how adults have perceived, or at least made assumptions, about children through the decades. And oh how books have changed from the earliest I own, from the turn of the century, to present day. Firstly, the small number of picture books I own seem wordier, aimed at older children than would perhaps read them today. 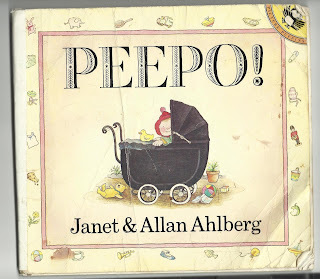 They are also very sedate and the author’s voice very evident as talking to and instructing the child. By Constance Ripman, illustrated by Eva Ash. Undated. Children on the whole had less of everything, even when I was young. I owned perhaps twenty books, some passed down from my parents. I could name them all, even now. Of course I could, they were my most precious possessions. 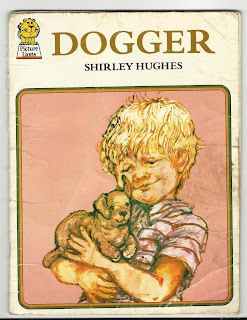 Aged eight I was a big fan of Enid Blyton, much to my father’s dismay; he made no secret of what he saw as their many flaws, however they were my special place to go and as such will always have a place in my heart. The illustrator of the Amelia Jane books was Rene Cloke, but the names of the illustrators of the other books are not recorded in the books. Yet what is true of them was true of many of their contemporaries. Children’s books were bristling with good upright members of the public. Moral lessons were the order of the day. Even when risks were taken there were rules, not unlike the Geneva Convention, about being a decent ‘chap’. Yes I said ‘chap’ because ‘good sorts’ of girls were honouree chaps and this was thought, at the time, a great compliment. Equally villains were thoroughly villainous without extenuating circumstance or redeeming feature. 1922. Assorted authors and illustrators. I am relieved at the changes that have allowed girls to become stronger characters, not chiefly reliant on boyish gallants for their instruction and protection. Reading through many of my old children’s books retrospectively I can see that they are peppered with stereotypes and even covert or occasionally overt racism; hard to believe but all perfectly acceptable at the time. And yes, I do often cringe when reading some of my old treasures. All the Mowgli Stories by Rudyard Kipling, illustrated by Stuart Tresilian, 1952. 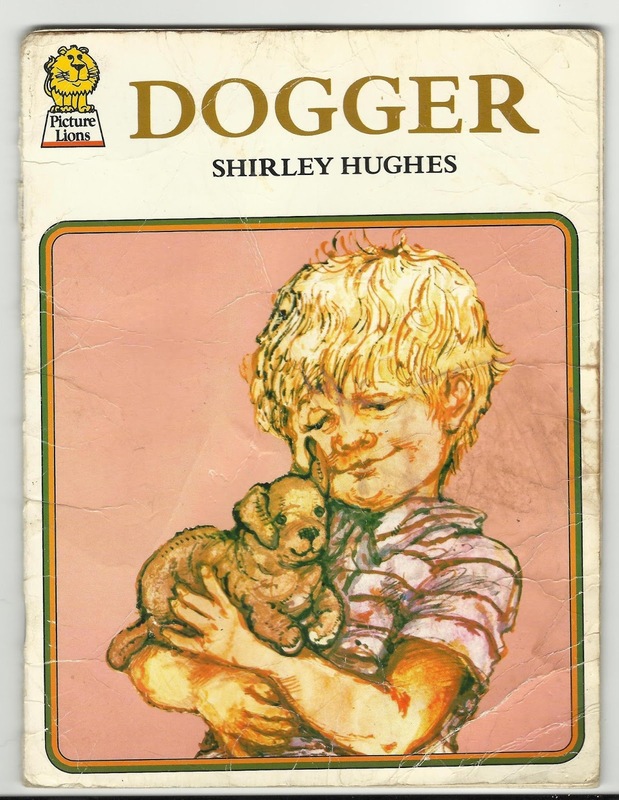 However deeply flawed as they seem to our modern eyes, I think in one sense the best of these books did make children feel safe, much safer than I suspect a lot of children feel today, introduced as they are to all of life’s grim realities at such an early age. My favourite was, and is, the one about a family of kingfishers. Writing for children, as with all forms of media, has moved on. Now the choice is immense and far more accessible to children who have a plethora of consumerables to choose from. Unsurprisingly, although my now grown-up children can name their favourite books, they couldn’t even begin to name every book they owned because they had so many. Even at the age of three , they had a much greater sense of self and their own opinions than I would have ever have presumed at their age. Their life experiences and their media experiences were much greater than mine, all be it in a virtual way. Picture books, like all other books, have evolved massively. They’re more colourful, slicker and in the main punchier than they have ever been and now more than ever they are aimed at the developmental stage of the younger child. 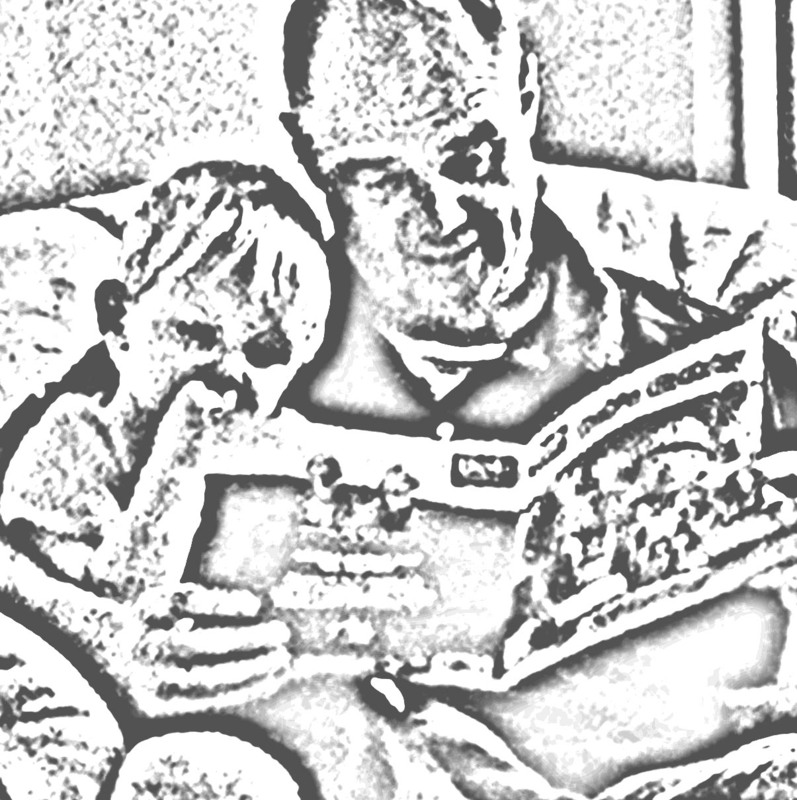 However what has not changed, as any parent, or person working with children will tell you, is that the most important thing about any picture book is that it must also appeal to them. As a parent I well remember cringing at having to read some books, whereas others I've read hundreds of times and still think of fondly. I think this is probably why some books have stood the test of time, because they are lovely stories and they have wonderful illustrations and haven’t strayed too far down the path of what today would be considered non PC. When I was having a clear out, I discovered a cache of much-loved and very worn picture books that are over 25 years old. My sons are about to turn 30 (30! How did that happen?) and 28, so I thought a good way to mark the occasion would be to share a few of my (and hopefully, their) TOTPs. Crumpled cover, splotched with unidentifiable stains and with corners lightly sucked. Inside, every 'peepo' cut-out is torn and patched due to baby sons enthusiastically swiping every page turn whilst chortling 'peepo!' Spine taped after it dropped to bits, causing tears (mine). Gift from Grandma and Grampy. Spine fraying. 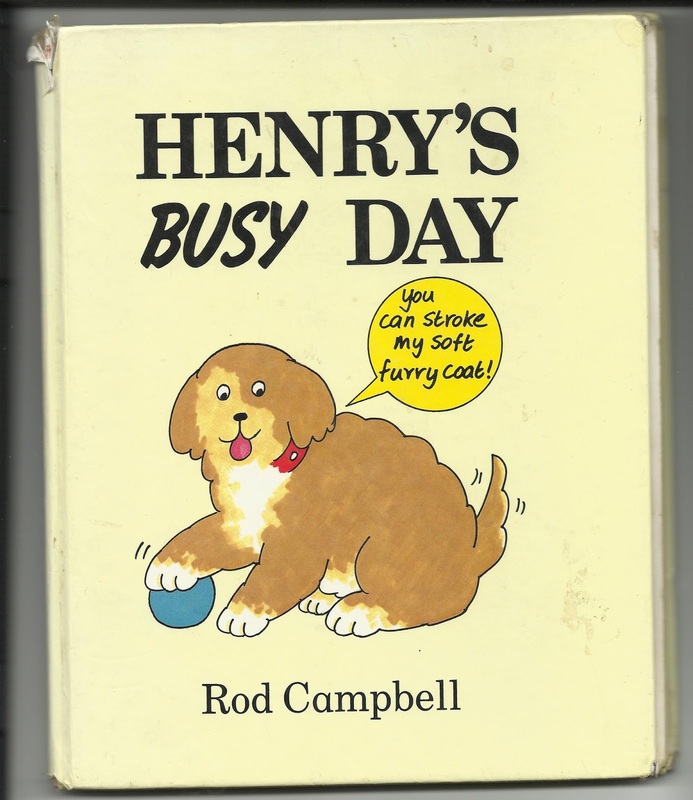 The 'soft furry coat' of Henry in the last spread still retains hints of something sticky that could be the subject of forensic investigation. Ideal reading for inducing sleep, particularly of the parent reader. Weirding out sons alert – I read this rhyme so many times to Older Son that I could (and did) recite it like a mantra during the birth of Younger Son. After that, I was less than keen on reading it aloud (owing to flash backs) and it got 'lost' for a while. A quarter of a century or so in fact. Edge of cover slightly nibbled by long-gone Rosa and Cynthia the guinea pigs. 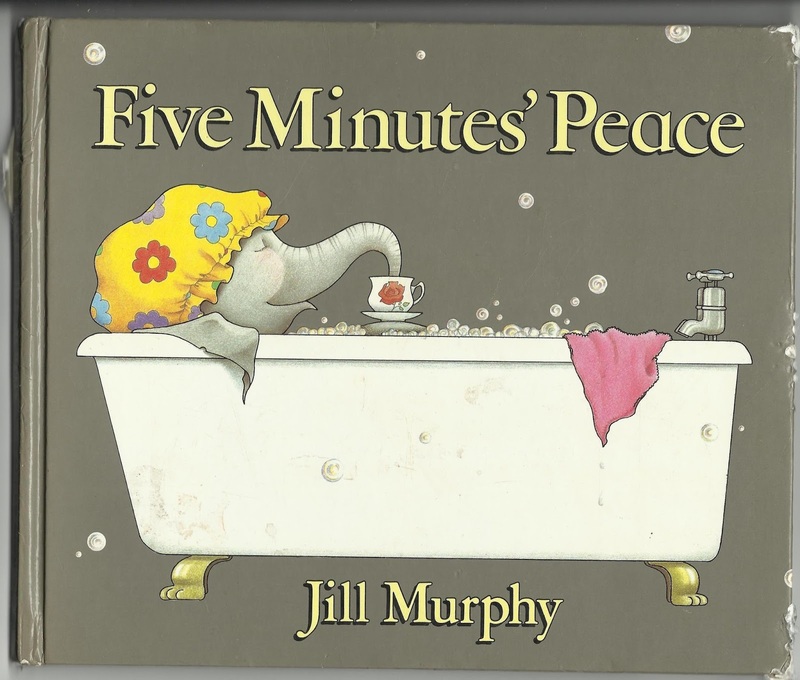 My (then) small sons failed to understand why Mrs Large could possibly want 'Five Minutes Peace' - but I LOVED this book (and still do). Maybe one day they'll have kids of their own -THEN they'll get it. Other books come and go (to the charity shop), but these picture books (and a whole heap of others) are so redolent of happy times, I shall keep them forever. 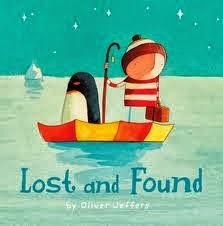 What tatty old picture books do you treasure? and she really hopes some of the picture books she's written will end up being tatty and torn and treasured by someone, too. Have you ever wondered where the inspiration for a story comes from? Well we've decided to share what inspired us to write one of our picture books. Most of my inspiration comes from games I used to play with my younger sisters. I am one of six girls and, as the eldest, it was my job to keep all the younger ones busy. 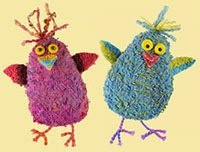 We played all kinds of imagination based games; like hairdressers, doctors, schools, lost children or mountain climbers. We used to pull apart the sofa cushions and build towers of cushions to make palaces and hills and forts. When I had my own children, the memory of all those games came flooding back to me. 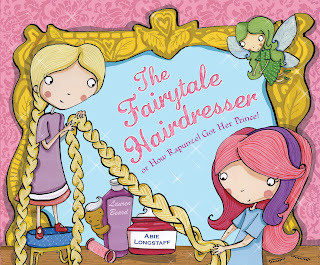 The Fairytale Hairdresser series is based on our salon we used to have, where we washed all our dolls' hair. We loved the business side of it too, and would make pretend money to pay, and our own 'shampoo' out of leaves in the garden. Sometimes there’s a long, long gap between inspiration and book! 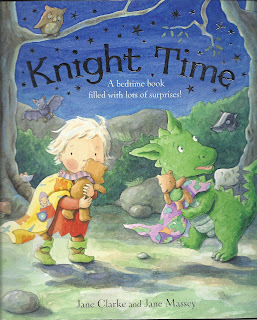 Knight Time is a story of friendship across cultures and it came about because my two boys were lucky enough to be educated from the age of 4 to 18 at Antwerp International school, a melting pot of different nationalities. The parents eyed each other a bit warily, but the kids just got on with being friends. It was years later when it occurred to me that I could write a story about a Little Knight and a Little Dragon who start off being afraid of each other but discover they have more similarities than differences and become great friends. How old is Robert now? 27! 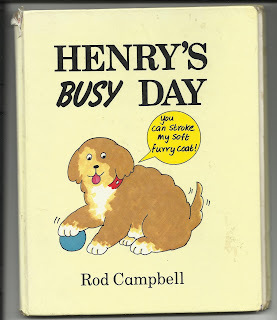 The inspiration for Little Nelly's Big Book of Knowledge was my father-in-law teasing his grand-children by 'proving' that George, the Golden Retriever, was a hamster rather than a dog. Grandpa had taught zoology at Cambridge so knew a thing or two about animals. 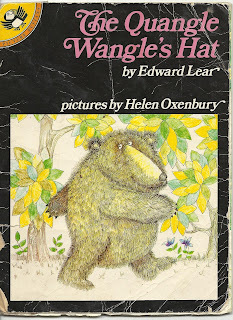 Hamsters are golden, as was George, was the one bit of proof, and I can't remember the rest, but that led me to inventing a small lost elephant (with the tell-tale name of Little Nelly) who looks in a book to find out what she is. 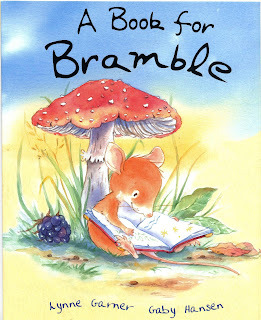 She sees in the book that mice have big ears and thin tails and can be grey in colour, so she then 'knows' that she is a mouse ... which of course leads on to interesting times when she tries to go and live with other mice. Thank you, Grandpa Charles! Now we've shared what inspired us. If you're a writer we'd love to know what inspired you to write one of your books?